An ECV is a physical, chemical or biological variable or a group of linked variables that critically contributes to the characterization of Earth’ s climate. ECV datasets provide the empirical evidence needed to understand and predict the evolution of climate, to guide mitigation and adaptation measures, to assess risks and enable attribution of climate events to underlying causes, and to underpin climate services.They are required to support the work of the UNFCCC and the IPCC. Relevance: The variable is critical for characterizing the climate system and its changes. Feasibility: Observing or deriving the variable on a global scale is technically feasible using proven, scientifically understood methods. Cost effectiveness: Generating and archiving data on the variable is affordable, mainly relying on coordinated observing systems using proven technology, taking advantage where possible of historical datasets. ECVs are observed according to the GCOS Climate Monitoring Principles. The Global Observing Systems Information Center (GOSIC) provides further background, definitions, requirements, network information and data sources for the ECVs. It is maintained by the National Centers for Environmental Information (NCEI) of the U.S. National Oceanic and Atmospheric Administration (NOAA) and the U.S. GCOS Program at NCEI on behalf of the global observing community. The ECV inventory of the joint Committee on Earth Observation Satellites (CEOS)/ Coordination Group for Meteorological Satellites (CGMS) working group on climate (WGClimate) provides data of ECVs measured from space. To respond to the observation needs of climate change, the European Space Agency (ESA) initiated the programme Global Monitoring of ECVs (ESA Climate Change Initiative). ESA Climate Change Initiative provides an adequate, comprehensive and timely response to the extremely challenging set of requirements for highly stable long-term satellite-based products for climate, that have been addressed to Space Agencies via GCOS and CEOS. It is exclusively concerned with addressing the explicit needs of UNFCCC. The Copernicus Climate Change Service (C3S), currently in the development phase, will combine climate system observations with the latest science to develop authoritative, quality-assured information about the past, current and future states of the climate in Europe and worldwide. The European Centre for Medium-Range Weather Forecasts (ECMWF) operates CS3 on behalf of the European Union and will bring together expertise from across Europe to deliver the service. C3S will provide key indicators on climate change drivers such as carbon dioxide and impacts, for example, reducing glaciers. The aim of providing these indicators will be to support European adaptation and mitigation policies in a number of sectors. In response to the climate monitoring needs formulated by GCOS, the Joint CEOS/CGMS Working Group on Climate (WGClimate) aims to improve the systematic availability of climate data records through the coordinated implementation and further development of the architecture for climate monitoring from space. 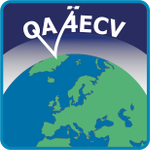 Quality-assured satellite data are of central interest to the QA4ECV project. Satellites have revolutionised the Earth’s observation system of climate change and air quality over the past three decades, providing continuous data covering the entire Earth. However, many users of these data are not conscious of the quality of these satellite data. Because of this, the European Union expressed in its 2013 6th FP7 Space Research Call a need for reliable, traceable, and understandable quality information on satellite data records that could serve as a blueprint contribution to a future Copernicus Climate Change Service. QA4ECV runs from January 2014 until December 2017. The Global Monitoring of Environment and Security (GMES) services in the Land, Marine and Atmosphere domain include within their product portfolios a wide range of parameters which are related to ECVs and may contribute to their determination and generation. More importantly, space-based observations processed by GMES services will contribute to climate change analyses if the continuity of underlying measured physical parameters can be reconciled with previously existing data records. The CORE-CLIMAX project coordinates the identification of available physical measurements, which can be reconciled with previously existing data records, to form long time series. This project will help substantiate how GMES observations and products can contribute to climate change analyses by establishing the extent to which GMES observations complement existing climate data records. The project will identify the capability of on-going activities, contribute to formulating the GMES climate service theme, and lay the observational basis for service activities. The Gap Analysis for Integrated Atmospheric ECV CLImate Monitoring (GAIA-CLIM) project aims to improve our ability to use ground-based and sub-orbital observations for characterizing satellite observations for a number of atmospheric ECVs. The key outcomes will be a “Virtual Observatory” facility of co-locations and their uncertainties, and a report on gaps in capabilities or understanding, which shall be used to inform subsequent Horizon 2020 activities. The Global Surface Water Explorer is a water dataset developed in the Copernicus Programme. This maps the location and temporal distribution of water surfaces at the global scale over the past 32 years and provides statistics on the extent and change of those water surfaces. The dataset, produced from Landsat imagery (courtesy of the United States Geological Study (USGS) and NASA) will support applications including water resource management, climate modelling, biodiversity conservation and food security. A selection of ECVs are visualized by UNEP Global Resource Information Database (GRID).